Some people are funny whatever they do. Others... well, when they try to make us laugh all they do is embarrass themselves. Alice and Neil discuss humour and teach you related vocabulary. Neil is a bit of a comedian but will he manage to make Alice laugh? You can check your answers by reading the transcript here. This weeks 6 minute English is all about recycling and plastics. The UK government has recently introduced a small charge of 5pence (about 12yen) on plastic bags in English supermarkets to try to stop people using them. Neil and Alice take a look at the environmental impact of mass-produced plastic bags and plastic in general. They also teach some related vocabulary. Listen to the audio by clicking here. You can check the answer by reading the transcript here. Can you think of any new recycling inititives that Japan is introducing in the future? Or perhaps, some recently introduced inititives. What are the pros and cons of these inititives? Do you like Origami? Try this Halloween Origami! 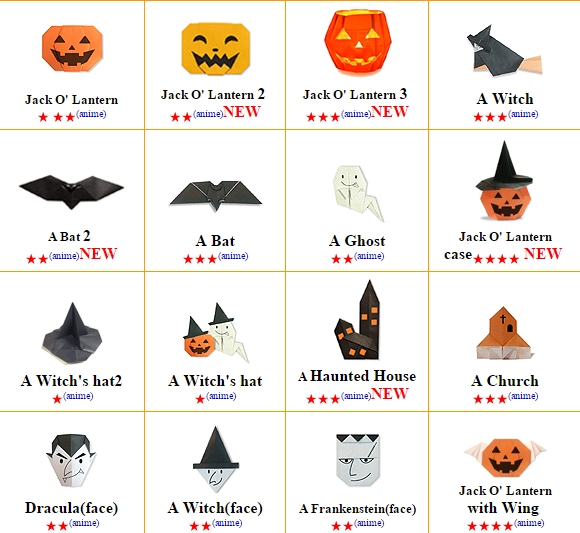 If you like Origmai, why don't you try this Halloween origami? There are intructions in English, with videos, but you can also change it to Japanese if you have trouble.